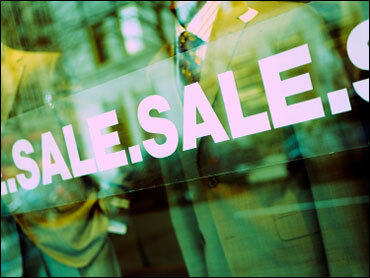 Americans didn't go on many shopping sprees in June, resulting in sluggish sales for many retailers. It often took deeply discounted clothing to get shoppers to spend  and then only if they needed it. The lackluster performance, being compared with a weak June 2009, is raising concerns about the back-to-school shopping season and the health of the economic recovery. After ramping up spending surprisingly in the first quarter, shoppers have hunkered down since April. Some worry they'll continue to be tight-fisted through the holiday shopping season. "My sense is that the consumer is very cautious at this stage given the state of the labor market, the housing market," said Ken Perkins, president of research firm RetailMetrics. "June sales are going to reflect that caution." A sluggish June sets up a "disappointing back-to-school season," he said. "I think (back-to-school) is going to be very promotional." As merchants reported their results Thursday, Costco Wholesale Corp. posted a solid revenue gain, but it was fueled by its international business. Target Corp. posted a modest gain that was below Wall Street expectations. Many teen merchants including American Eagle Outfitters Inc., The Buckle Inc., Hot Topic Inc. and The Wet Seal Inc. reported decreases in revenue. Among the bright spots were Limited Brands Inc., the Columbus, Ohio, company which owns Victoria's Secret and Bath & Body Works, and Cincinnati-based Macy's Inc., both of which reported solid gains that were better than expected. The figures are based on revenue at stores open at least a year and are a key indicator of retailers' health. June is a time when stores clear out summer goods to make room for back-to-school merchandise. But analysts say discounting was heavier than expected as stores had to work hard to pull in shoppers continuing to grapple with a deluge of financial issues. Such deeper-than-planned discounting resulted some stores, including American Eagle Outfitters and Wet Seal, trimming profit forecasts Thursday. Clothing stores accelerated discounting toward the end of June after not getting enough business, BMO Capital Markets analyst John Morris said. He estimated that volume and level of discounts at the mall-based apparel chains he tracks was even with a year ago even as stores carry less inventory than a year ago. Discounting was down 5 percent in May from a year earlier, after being down 10 percent from February through April, Morris said. Uncertainty is growing as evidence mounts  from disappointing housing data to sluggish hiring  that the recovery is stalling heading into the second half of 2010. And that is when the benefits of most of the government's stimulus spending will begin to fade. Consumers also saw their retirement funds erode further as the Dow Jones Industrial Average has declined 13 percent from its late April peak. Such economic concerns drove down consumer confidence by 10 points in June, reversing three straight gains, according to private research group The Conference Board. The Labor Department reported Thursday that new claims for unemployment benefits dropped sharply last week, but they have yet to reach levels that most economists say would point to robust job creation. Against this environment,even discounters and wholesale club operators are fighting for every dollar from consumers. Costco said Thursday that revenue in stores open at least one year rose 4 percent in June, boosted by international results. Analysts surveyed by Thomson Reuters, on average, expected a 4.2 percent gain. Target posted a 1.7 percent gain, short of the 2.7 percent rise that analysts had expected. Clothing, food, and health and beauty products were strong sellers. But electronics, video games, music and movies were weaker. The Minneapolis company expects July revenue in stores open at least one year to rise in the low single digits. Wal-Mart Stores Inc., the world's largest retailer, stopped reporting monthly results last year. Gap Inc., dragged down by weak business at its namesake clothing chain, was flat with last June, when it suffered a 10 percent drop. "June was a difficult month with lighter traffic than we anticipated," Sabrina Simmons, Gap's chief financial officer, said in a statement. Limited Brands, which operates Victoria's Secret and Bath and Body Works, said it posted a 6 percent gain in June, better than the 3.2 percent growth forecast. Among teen chains, Wet Seal had a 3.6 percent drop in June, and the teen clothing seller said it now expects second-quarter results at the low end of its previous guidance. Analysts had expected a smaller 1.8 percent drop. The Buckle suffered a 7.3 percent drop in June, much worse than the slight rise analysts expected. But preppy teen clothing company Abercrombie & Fitch Co., which has been struggling, posted a 9 percent increase. The New Albany, Ohio, company sailed past analysts' expectations of 2.8 percent.